Joyce Pearl Foster, 90, of Olathe, passed away on November 15, 2018, at St Luke’s Hospice House. She was born on September 9, 1928. Joyce attended Olivet Nazarene University in 1946 where she caught the eye of Alfred Daniel Foster. She only required Al to ask her three times before she agreed to spend her life with him. This past July they celebrated 68 years of marriage. She and Al have five children: Nancy, Brenda, Trudy, Daniel, and Jonathan. She also has 13 grandchildren, and nine great-grandchildren. All are alive, though her daughter Trudy, and three grandchildren are in heaven with her. Others close to Joyce already making residence in heaven include her parents, Warren and Verna, her brother, Stan, her sister, Betty, aunts, uncles, cousins and many, many friends. 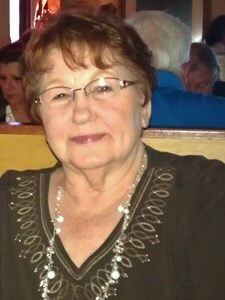 Joyce was a mom, a wife, a homemaker, a cinnamon roll baker, a shopper, an antique collector, a musician, a choral conductor, a Scrabble player, a laugher, and an avid supporter of her husband who pastored in four different locations for over thirty years. With her passing, she has made heaven, if this is possible, even more intriguing. We cannot wait to see her again. Visitation will be held Sunday, November 18, 2018, from 6-8pm at Penwell-Gable Funeral Home, 143rd and Black Bob in Olathe, KS. The funeral service will be Monday, November 19 at 10:30 AM. Add your memories to the guest book of Joyce Foster. I am so sorry for your loss. We have such fond memories of times together with all of you from our childhood. We loved playing with Nancy, Trudy and Brenda. We also loved Grandma & Grandpa Byrd and later shared great times in Council Bluffs. How wonderful to know Joyce has gone to be with Jesus & we'll know wonderful times again when we're all reunited in Heaven. What a precious lady! As a young licensed ministerial student she encouraged me. When Barb and I were married this seasoned Christian couple were examples of the kind of people we wanted to become. She leaves a great legacy through the many people she touched with her Godly influence. Rejoicing in her homegoing and praying for her family in this time of separation. What a special lady! We had so much fun working with Al and Joyce at Council Bluffs, Iowa as part of their staff at the church. It was such a blessing to share life together. Joyce taught me so much as I watched her model being the first lady of the parsonage. She loved us well!